I’d like to start this article with something other than the typical “Hey guys!” that usually appears at the beginning. This piece is something different than the usual. The season is over, the chase is finished, and Top 16 is secured. I don’t know how I truly feel right now, given that this is the second time I’m in this position. Last year, my spot in Top 16 was entirely up for grabs, but with lots of practice, some skill, and some luck, I managed to keep my spot at 16th and even leapfrog a few others into 13th place. There was a great pleasure in knowing that I didn’t need to get points this year to stay in it aside from the doomsday scenario that Rahul Reddy informed me of the night before the tournament. Nevertheless, that didn’t happen, and I had an enjoyable tournament that absolutely didn’t matter for my standing in T16. The current mood of the article is the result of me reading Christopher’s personal blog post he posted recently here. I highly recommend that you read that first, then come back and read this. Or if you’d like to end with the better of the two pieces of writing, read this one first! I’ll also be much more brief in my reflection of the year, since this is 6P first and foremost. I’d like to think that I have some experience in chasing Top 16; I’ve gotten it in 3/4 years it’s been implemented, only missing it during the 2016 season. It’s something I regret now, yet not very much. It would’ve been cool to keep up the streak of having it every year if it was maintainable, but I’m fairly certain I won’t have the opportunity nor the desire to travel this much next year. International events matter—IC’s and foreign events. I have yet to confirm this with Christopher’s data, but I’m fairly certain that every member of T16 went to 3 Internationals or more. I personally went to 3, but only received points at one: Brazil! I’d say that the only reason I stayed in Top 16 this time was because of my good finishes at Regionals. I had an insane run from Portland to Madison which set myself up to chill for the final few tournaments of the year. A balance between consistency and deep finishes is required to make T16. At the level of T16, it’s fairly expected to get points at every Regionals attended. To miss points would be a shot in the foot at the end of the season where every point matters. The difference between 16th and 17th will usually be a small number like 20-30 points. That’s a difference of a T256 finish at a Regionals. The difference last year was only 6 points—a difference in one match at a League Cup. That’s why consistency matters, you must maximize every opportunity to get points. League Cups are free boosts compared to Regionals and Internationals. Deep finishes are needed so that you actually make it into T16. Ryan Allred’s performance this year is a good example of this. He was in and out of T16 throughout the year because he consistently T32’d each Regional he attended. However, by the end of the season, his consistency was outshone by key jumps people had at Regional Championships or at Internationals. Unfortunately for him, he missed key points at the Mexico SPE’s which could’ve been his saving grace. Despite what people say, I’m unsure if international travel for SPEs and Regionals will be mandatory for T16 next year. If there aren’t 16 capable people willing to do that much travel, then there will be at least one person who isn’t doing that in T16. Math. I can’t predict what that number will be, but that is a thought. Several people, including me, are burned out from this year and won’t be striving for T16. There might be fewer people attempting it this year, resulting in an easier time! Who knows. Looking back on how I played this year, there definitely were some questionable moments and some bad tournaments. For example, London, Memphis, Costa Mesa, Columbus…the list goes on. Some of these were just outdated meta calls, others were where I tried to pick it up the deck, and others were a string of bad luck. In London, I continued to play Drampa-GX/Garbodor even after the new set was released. In it came tons of cards to crush this deck, most notably Zoroark-GX. Simply put, I didn’t hit the right matchups to guarantee points. In Memphis, I played horrendously with a horrendous Zoroark-GX/Lycanroc-GX list. Lastly, in Costa Mesa, I played Glaceon-GX/Barbaracle FCO like Travis, Christopher, and Alex, with an arguably better tech in Oranguru UPR, but was slaughtered after hitting egregious matchups like Ho-oh-GX/Kiawe. As a word of advice to anyone looking to pursue Top 16, start the year off early. Also, budget at the start of the year to actually see if you have the expenses or desire to spend that much in pursuit of it. Remember to account for the 0-2 you’ll go at the last minute SPEs you’ll attend at the end of the year too! For me, NAIC was a successful tournament. You might be asking, “why is a 5-4 finish a successful tournament?” The answer is that I had fun and played a deck that had a chance to win the tournament. I stand by my play wholeheartedly. I’ll dive into the origin of the Zoroark-GX/Decidueye-GX list I played, why I decided to play it, and how it’s positioned for Worlds. But first, here’s a short recap of what went down. A majority of the Europeans showed up with Zoroark-GX decks; a few played Malamar. Buzzroc was almost non-existent among the top American players, a shift that was unexpected after their dominance with it in Mexico a few weekends ago. This led to no top Buzzroc finishes despite its high place in the meta. 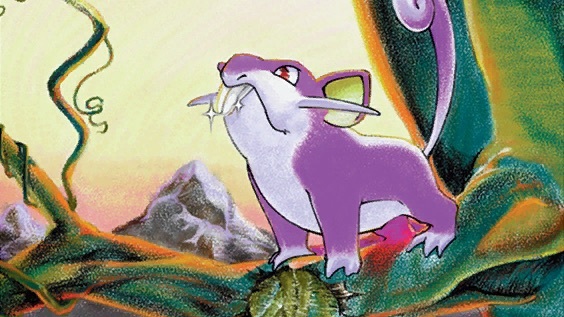 Weakness Policy made its way into several Zoroark-GX decks, including Tord’s and Rahul’s ZoroRoc list that circulated to people. Tord’s Zoroark-GX list was able to run circles around all others (except in the Finals) because of Oranguru UPR, a card that most other lists cut for the Buzzroc matchup. One thing that surprised me was the massive shift to Zoroark-GX decks despite Buzzwole’s popularity in the weeks before. A main reason I chose to play Zoroark-GX/Decidueye-GX was because it boasted favorable matchups against both Buzzwole variants because of Latios SLG. Its Zoroark-GX matchup is a bit shakier than a usual Zoroark-GX list because this runs a thinner Zoroark-GX line and lacks Puzzle of Time. 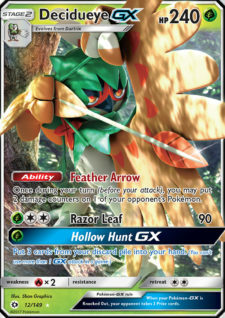 The concept of Decidueye-GX for Internationals was brought to me and a few others by Tyler Ninomura after he made a Facebook post asking people to convince him not to play it. 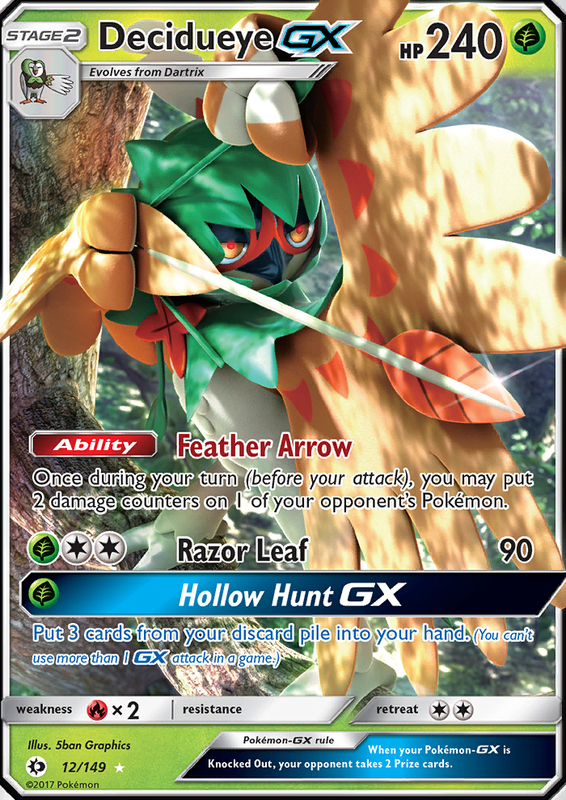 Alex Hill, John Kettler, and I all went crazy in the comments because we all loved Decidueye-GX and its place in the meta last year. Sooner or later, a group chat was made, Kris Hill was added, Isaiah Williams conversed with Kris, and we began to discuss ideas. We ran through tons of different ideas with and without Zoroark-GX and ultimately settled on it being the best version. It provided consistency, a big hitter, and a means of convincing ourselves our deck played competitive cards. The initial list we concluded upon before I arrived in Columbus lacked several key components of the final list. The 2nd Latios, 7th Supporter, 2nd Rescue Stretcher, Rare Candy, and of course Xurkitree-GX, were all additions through Jon and I’s testing. These changes were made with the idea of increasing consistency, speed, and levying matchups. Previously in the deck was a thicker Zoroark-GX line, which was something we cut because almost half of our matches required us to attack with Latios anyways. Our testing provided very fruitful information in regards to the Buzzwole-GX/Lycanroc-GX and Buzzwole-GX/Garbodor matchups. Latios was the absolute star here, as it provided easy ways to play around Beast Ring. It was also important to set up a Decidueye-GX to KO a Lycanroc-GX or to have a huge attacker that could withstand a Knuckle Impact. We also tested the deck against Zoroark-GX somewhat, realizing that the deck completely folded to Zoroark-GX/Lycanroc-GX. They could target our Energy and take Prizes every turn, and it was impossible to respond because Decidueye-GX requires two attachments. Xurkitree-GX was added with the thought of tying that matchup, since we assumed lists would need to maintain a high count of Strong Energy in order to consistently beat Buzzwole-GX/Lycanroc-GX. Zoroark-GX/Golisopod-GX and Malamar both tested relatively even; luck decided who would win. Generally, the game was in our control because of Feather Arrow. The games lost were those in which we set up very slowly or missed crucial attacks. Zoroark BKT is insane here because it extends the KO range of the deck up to 190 instead of 150. Two things that make Malamar much closer are that there is no healing and that there are fewer Guzma. Those are the two components of Zoroark-GX that crush Malamar, in that it can pick off Malamar easily. The above atrocity was what Jon Eng and I played. He decided to drop at 4-3 after missing Day 2 contention because the points didn’t matter. Once I reached that point, I played it out and would’ve ended with a 6-3 record if I didn’t concede my final round so that my opponent would have a chance at his invite. I lost Round 1 because of an unfortunate Double Prize Loss in Game 2, and I had game in hand for the following turn. In Game 3, I was absolutely outdrawn and had no chance to win. 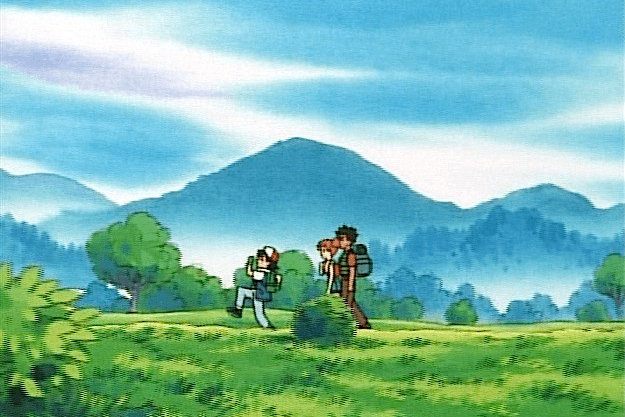 Afterwards, I was completely devastated because my opportunities of making Day 2 were essentially ruined. Round 5 was pretty silly because I opened Xurkitree-GX, meaning that I couldn’t employ my strategy to a win. The goal is to let them exhaust resources in taking Prizes, then win by deck-out because I’ve played few cards. What ended up happening is that I had to play normally, but swept him Game 1 with a Decidueye-GX I was able to set up. In Game 2, he denied my Razor Leaf, but I was eventually able to KO Lycanroc-GX with a Zoroark BKT and a few Feather Arrows. I had a huge lead because he had a Tapu Lele-GX with 150 damage on it I was just waiting to KO at some point later on. I knew he didn’t play Acerola, Max Potion, or Parallel City, so it was a free 2 Prizes. I was waiting on a Guzma to KO a different Tapu Lele-GX and Feather Arrow the second to take 4 Prizes, but never found it. On the final turn, I had an 85% chance to draw Latios from my Deck or Prizes for the win but missed it. We had a few minutes left for Game 3 and I gave him the win because there was no way I would’ve won that game had it continued. In Round 6, I played against my good friend Ishaan Jagiasi. He’s been out of the game for the past few years, but is a very strong player. He was testing with Jon and I in the previous nights, and we were both sad that one of us had to be eliminated from Day 2 contention because of our pairing. A common theme throughout these games was a lethargic start. Specifically in Games 2 and 3, I didn’t attack for the first few turns of the game and lost the first two prizes. All three of these games came down to the final prizes each, and due to missing the first two, he took six first. In Game 1, he actually forgot the Resistance on Zoroark-GX or else he would’ve taken a KO with Necrozma-GX. This allowed me to win that game, one that I would’ve lost otherwise. There’s Xander! Always moving towards the next big idea! Zoroark-GX/Decidueye-GX is something I want to continue working on for the Worlds format, but I’m unsure if it can compete with Rayquaza-GX and the successful lists of NAIC. I’ll have to put in tons of time playing against Tord’s deck, the popular ZoroPod list, and against any new set contenders. There aren’t any major changes I want to make to the deck other than taking out Xurkitree-GX for anything else. I think that going for a tie against Zoroark-GX/Lycanroc-GX is a bad strategy going into Worlds because it requires X-2 to get through Day 1 or a healthy X-1-1 for Day 2. Sure, the tie could come from there, but I’m unlikely to play a deck with a super tough matchup to that major of a tournament. Several cards that could replace the Xurkitree-GX are Rare Candy, Multi Switch, Enhanced Hammer, or Max Potion. We originally had the 2nd Rare Candy before swapping it out 15 minutes before Round 1. It provided a more likely percentage of drawing it early, which was always great. Multi Switch is the new counter to Lycanroc-GX by allowing a Decidueye-GX to be powered up in one turn. It’s clunkier in this deck than Zoroark-GX/Lycanroc-GX due to the lack of Mallow. Enhanced Hammer and Max Potion also act as counters to other Zoroark-GX decks, yet once again are hard to pull off consistently. Both of those are relatively strong throughout the game, though, so the difficulty is mitigated. A main reason I played owls was that I didn’t need to get points at this event—I was playing for fun. It’s definitely not Tier 1, nor do I expect anyone to pick up the deck for Worlds when there are tried and true options. I love rogue ideas as much as the next gu, but I also believe that there are other rogue decks to explore that come out o the new set rather than working with older sets. It can be reasonably assumed that all decks that were successful in the BKT-FLI format will continue to be somewhat successful, meaning that a deck that couldn’t win in that format won’t win in the next one. There are tons of options to look at in the next set, so I encourage you to take a look and explore! This season has been a wild one. There have been huge ups and huge downs, but in the end I’m glad to say that I succeeded at what I set out to do. Along the way, I also picked up a few Regional Championships wins too! I hope to compete at the same level next year, yet maybe not go for T16. Like this year, I’ll see how the beginning tournaments go, perhaps go to EUIC, and generally play it by ear. As we wrap up coverage of NAIC, information regarding the new set will trickle in. Once we have a full English set list in the next few weeks, it’ll be easier to dissect and analyze. My next article will be focused on early Celestial Storm ideas and how new cards can play out in the current meta. I definitely plan on exploring rogue options as well, as that’s always a way to win a tournament without needing luck. By discovering a win-all deck, you effectively remove the trouble of needing to hit good matchups to win. However, in today’s day and age, it’s very difficult to find something else no one has. I know of people testing the format now, almost a full month before the set’s release! Get out there and play. As the current season is now over (aside from Worlds), I’ll have a huge break from playing. This is great for finally starting my summer homework, but also a shame because I love playing. I’ll have to hunker down and work for the rest of the month before delving back into theory-crafting and practicing for my favorite tournament of the year. Goodbye for now!